Clear Proof® Clarifying Cleansing Gel,** 1 oz. Clear Proof® Blemish Control Toner,** .9 fl. oz. Clear Proof® Acne Treatment Gel,** .1 oz. 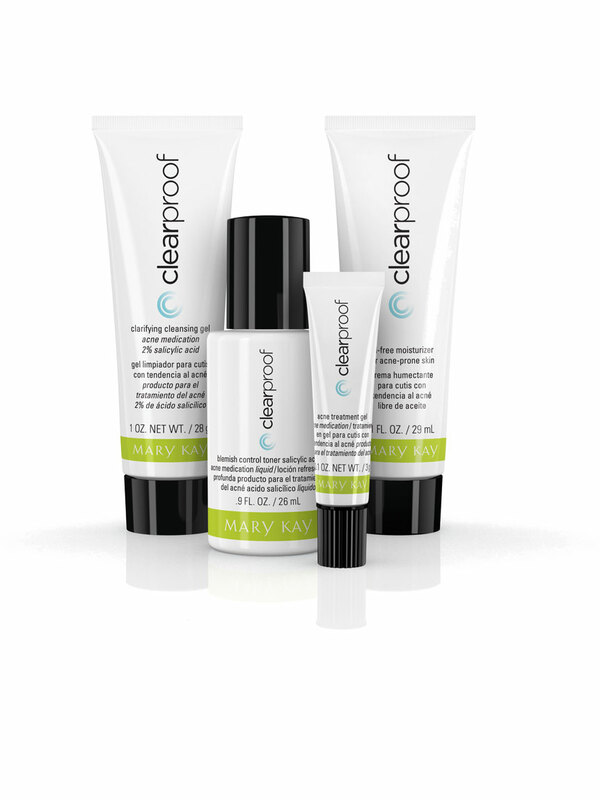 Clear Proof® Oil-Free Moisturizer for Acne-Prone Skin, 1 fl. oz. 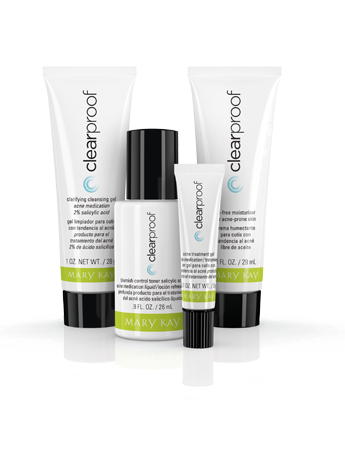 With the Clear Proof® Acne System, you get an effective regimen clinically shown to provide clearer skin in just 7 days. * But it’s more than just fast results that makes an acne system worthy of your attention. To truly get your acne under control takes a consistent program with results over time. To build on this excitement, we also asked people from coast to coast to try the Clear Proof® Acne System and share their thoughts. The results were clear. Three out of four people said they would switch to the Clear Proof® Acne System.† Why? Because they said it clears up pimples faster than their previous regimens.† And that says a lot. †Results reflect the percentage of panelists who agreed with the statements during a three-week independent consumer study. Salicylic acid and benzoyl peroxide are both recognized by the U.S. Food and Drug Administration and U.S. dermatologists as effective acne-fighting ingredients. So what makes them different? Salicylic acid acts like an exfoliant to promote the easy removal of dead skin cells. As such, it helps keep pores unclogged and reduce the buildup of P. acnes bacteria. Benzoyl peroxide (BPO), on the other hand, is an oxygen-releasing ingredient that kills bacteria. P. acnes bacteria flourish when there’s a lack of oxygen, like in a clogged pore. By creating an oxygen-rich environment, BPO can help reduce the number of P. acnes bacteria that can cause lesions to form. It also can help in dissolving the buildup of dead skin cells. †Results reflect the percentage of panelists who agreed with the statement during a three-week independent consumer study. ††Results reflect the percentage of panelists who showed improvement during a 12-week independent clinical study.